Use this stone to soothe the soul, calm the mind and relax the body. It gently opens doors to the Divine and your own Higher Self. Indigo Quartz & Indigo Quartz with Actinolite are extremely rare & are available in limited quantities from a supplier in Bahia, Brazil. 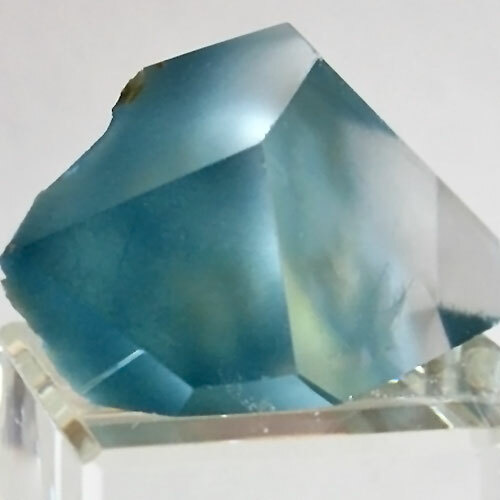 Indigo Quartz is blue tourmalinated quartz containing needle-like inclusions of deep blue tourmaline, also known as Indicolite. Indigo Quartz with Actinolite, another deep blue quartz colored with ochre, works intensely and immediately to calm and soothe the mental body, which then relaxes the physical body. Both exhibit incredible healing properties & are very beneficial for use during meditation. Read more about Indigo Quartz in our Crystalpedia.